Innovative technology is a key factor to consider when improving the operating theatre environment. With its new generation of light-emitting diode (LED) operating theatre lights, Trumpf Medical is once again setting new standards. 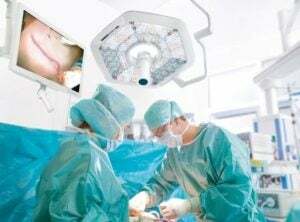 Patient safety and ease-of-use are always primary considerations in the development of new products and with this in mind the revolutionary technology of this new LED light allows operating theatre personnel to work under continuous lighting conditions at all times. An intuitive practical and adaptable operating concept. Future compatible with integration options.